In separate accidents, two two-wheeler riders were killed after they hit barricades erected on the middle of the road in city last night. While one accident occurred on the T. Narsipur Road, the other took place near the Bandipalya APMC Market. The first incident occurred at around 9.30 pm and the victim has been identified as 39-year-old Mahadeva Naika, son of late Putta Ankaiah and a resident of Mahadeshwara Layout at Kumbarakoppalu. Police said that Mahadeva Naika worked at Hoskote near Suttur and was returning home from work on his TVS Excel (KA-09 EX-2159). As he reached Sardar Vallabhbhai Patel Nagar at around 9.30 pm, he rammed against the iron barricade. 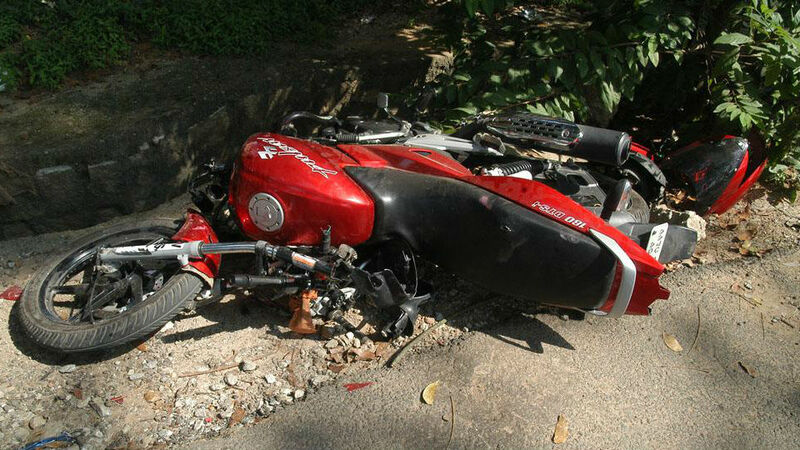 The impact of the accident was such that Mahadeva Naika was killed on the spot. Siddhartha Nagar Traffic Police have registered a case. In the second incident that occurred at around 9.45 pm, 28-year-old Sampath Kumar, son of Nagaraj and a resident of Banchahallihundi village in Nanjangud Taluk, is the victim. Sampath Kumar worked in ITC factory at Nanjangud and was returning home on his Pulsar bike (KA-09 EZ-9584) when he rammed against a barricade near Bandipalya APMC Market. He was rushed to K.R. Hospital by some passersby where he was declared brought dead.